If you're looking for the best view in Las Vegas, this is it. 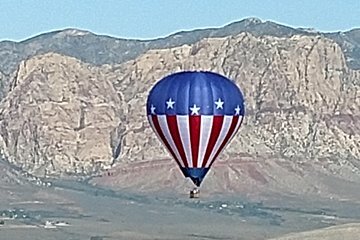 On this scenic balloon ride perfect for adventurous travelers, enjoy stunning vistas of the desert, mountains, and sights beyond. See the Red Rock Canyon, Downtown Las Vegas, and the expansive Las Vegas Valley metropolitan area. To top off this fantastic adventure, take advantage of included hotel pickup, and take the guesswork out of getting around.